Australian Distribution Switchgear Manufacturer NOJA Power today announces the release of the 1.21.0.0 version of firmware for its RC Series Recloser controllers. NOJA Power follows a continuous development process of augmentation for the RC series controllers, providing the upgrade free of charge to existing users of the NOJA Power RC10 or RC15 products. Among the major features implemented in the latest relay firmware is the addition of file transfer capability for Oscillography through FTP and 61850 file services. Global demand for enhanced network visibility and data acquisition is increasing, driven by the complexity of distributed generation and renewable connections. Being able to acquire traces of system parameters remotely rather than simple SCADA sampled variables provides tremendous benefit to utility engineering teams. Aside from file transfer capabilities, the new relay firmware brings upgrades and improvements to the existing IEC 61850 implementation in the RC system. 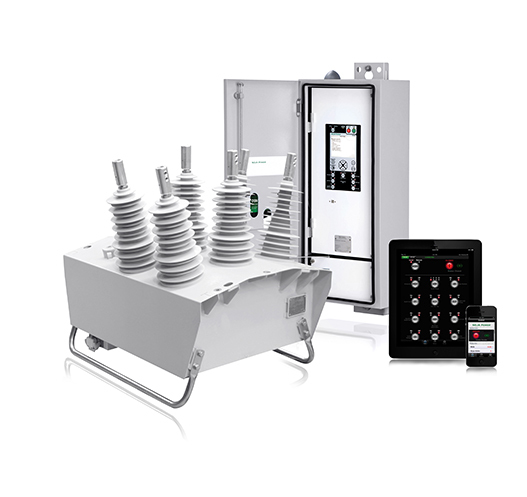 IEC 61850 has been a popular choice in substation environments for some time, with the benefits of standardisation, Generic Object-Oriented Substation Event (GOOSE) messaging and self-defining data. With improvements to communications infrastructure, distributed pole mounted equipment such as the OSM Recloser are being included in the scope of IEC 61850 devices under deployment. When OSM Reclosers are deployed as part of substation infrastructure, the IEC 61850 compatibility of the RC controller is a clear bonus. NOJA Power are committed to continuous development of their OSM Recloser system. A new milestone of 52,000 units in service across 88 countries worldwide was recently achieved. For further information or to access the latest firmware version, visit www.nojapower.com.au or contact your local NOJA Power Distributor.